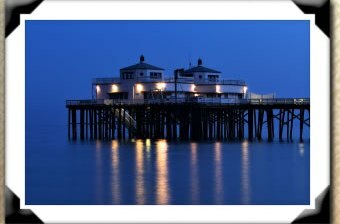 Malibu Pier is a Southern California icon in an area once called the Riviera of America. The historic landmark is located in the heart of California's surf culture. Surfers from around the world come to Surfrider Beach adjacent to Malibu Pier, known for its three-point break that offers rides of 300 yards or more. The festive seaside atmosphere of good food and fun is returning to the famous pier. Restaurants offering classic seaside dishes complement the pier's beautiful coastal location and rich history. Malibu Beach Supply Co. - Check out the new gift shop at the ocean end of Malibu Pier. It's a well stocked with a plethora of Malibu branded merchandise, sundries and souvenirs. 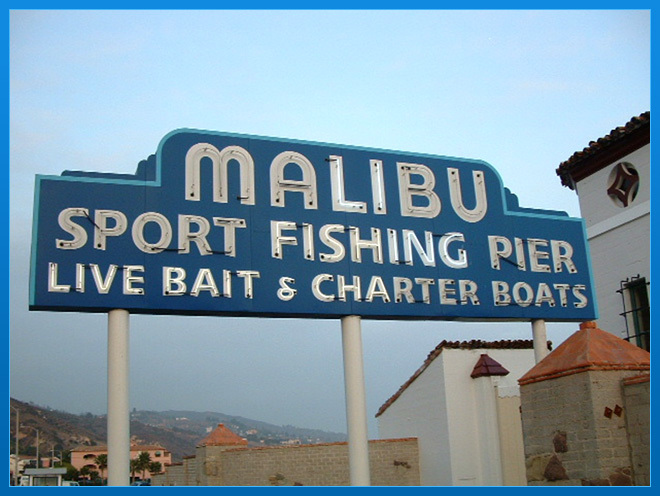 Malibu Outfitters the perfect place to get that special keepsake from your Malibu adventure. Aside from clothing, you can pick up fishing equipment and even make reservations for Sport Fishing and Whale Watching excursions. For more information call 310-456-8031. Coastal Harbor Tours - Malibu's more than 29 miles of glamorous coastline offers the perfect backdrop for a boat tour with family and friends. Beach Equipment Rentals - "Zuma Jay's" is planning to open store at the Malibu Pier, renting surfboards, boogie boards, kayaks and other beach equipment. Surf Museum - Plans are underway for a museum to display vintage surf memorabilia. The history of the surf culture in Malibu will be portrayed in artful exhibits. All within a view of Surfrider Beach.